If you’re kind enough to read my blog and haven’t yet read the just previous posting, please look it over before reading this one. This is a postscript resulting from two things: One is a very useful exchange I had with a friend whose opinions I value, a very respected economist and professor. He doesn’t agree with my conclusions. I probably haven’t changed his mind, and he hasn’t changed mine, often the case in a good debate. However, I took away a number of good points and benefitted greatly from the exchange. I’ll explain below, without identifying the person, because I don’t pretend to be able to represent his complete views on the subject. The other is from the New York Times of today. There is an opinion piece by Paul Krugman and a piece by Robert Pear. Both result from the outcome of the omnibus funding bill just approved by Congress. References are below. Again, my focus is on the behavior of the Republican Party, which I believe is very poorly serving our country. One of the reactions to my post of yesterday was to argue the point of who/what is responsible for the rise in inequality experienced in most countries. Here in the US, I argued that the Republicans and their policies are the prime culprit. 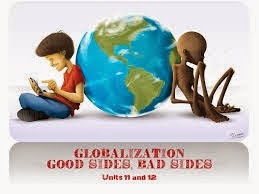 My friend argued that globalization is the cause. Just what is “globalization?” “Globalization and Development” was the title of my MSc. program in London during 2012-3. Many definitions were discussed in class. 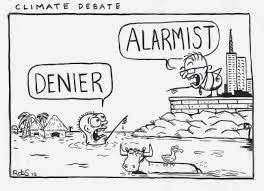 Merriam dictionary’s is good for today’s purposes: “ the development of an increasingly integrated global economy marked especially by free trade, free flow of capital, and the tapping of cheaper foreign labor markets.” Note that these are prototypical Republican agenda. This is what American business wants. Republicans of today are committed to advancing the private market as a solution to most all our needs, while starving government. Republicans have accelerated globalization, in the form they prefer, for the benefit of private capital. Technology and transportation are companion elements to globalization, the recent accelerated development of both of which has enabled the rapid spread of globalization in it’s third wave (1870-1914, 1950-1980, and 1980 forward). My friend is right. Globalization has resulted in inequality–inequality between countries (failure to converge in incomes) and inequality within countries. The latter has happened because cheaper foreign labor accompanied by faster transportation and advancing technology has moved jobs overseas. In my home town in North Carolina, almost the entire local employer base in textiles and furniture was moved to China and elsewhere around the globe. Improved technology provided for communication and remote management with China. Improved transportation enabled China to ship heavy sofas to the US at substantially lower prices than for US manufacturers. Enhanced financialisation and open borders enabled US producers to move labor, factories, capital and funds flows rapidly around the world. Enhanced “flexibility” for US employers pursued by Reagan and Republicans since has enabled them to abandon North Carolina workers on a moment’s notice and leave them without support or new skills training. These policies are central to the Republican agenda. Globalization also means facing how pollution from China affects the US and vice versa. We two are the top producers, and we may endanger the planet if we don’t cut back. Just now, legislators are struggling to restrain our use of fossil fuels. This necessity costs jobs for coal miners in Kentucky and elsewhere. I believe this action is necessary, but what’s lacking is government and industry working together to re-train and support workers who lose jobs. China is far ahead of the US now in fully accepting the role of government to pave the way for its industry, with infrastructure, research, and significant investment where private capital cannot do the job. In the US, Republicans even resist government investment to develop solar. Of course there will be some failures when government invests in pioneering business where private industry will not, but that’s a justified role of government. That’s how the internet was first developed–by the US government, not by private industry. My friend pointed out correctly that the support for globalization comes from Democrats as well as Republicans–e.g., note the impact of the Clinton administration and the retired Clinton activity on advancing globalization. However, I do believe Republicans and their “neoliberal” policies have been the major drivers of globalization. It would have happened anyway, most likely, but under Democratic philosophies, I believe there might well have been far less impact on inequality. We would have retained worker protections which have been whittled away since Reagan. We could have better managed the danger of free flowing capital around the world. 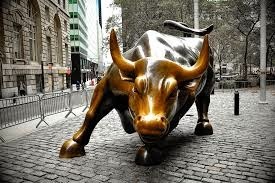 He reminded me that Wall Street supports both parties. Yes, but according to the research behind Paul Krugman’s article of today, starting with support for Romney in 2012, Wall Street money swung much more heavily to Republican candidates and policies. I’ll try to tackle globalization more in another post–can it be restrained? How? What would be some wise global policies to enable a more fair and sustainable outcome to the continuance of globalization? 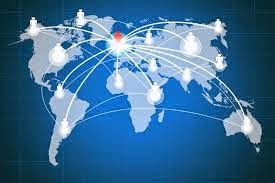 One thing for sure–the optimal development of globalization is not just uncontrolled free borders, free markets, free capital, and “flexibility” for employers. If capitalists feel everything about their corporations needs to be carefully controlled, why do they think that world markets need no controls? Why is that different? Isn’t good management all about controlling outcomes? Note that Singapore, Ireland, and Switzerland are now more “globalized” than even the US. But, the movement of inequality (measured the the Gini index) has been dramatically different for these 4 countries. What have Singapore, Ireland, and Switzerland done to manage the impact of globalization on their populations, their pursuit of equality, that we have not? While Singapore appears to have been consistently high, not increasing much (based on other data), Ireland and Switzerland reduced inequality over roughly comparable periods, while the US significantly increased inequality. And, what about Finland and Norway? They have also been actively engaged in globalization and yet have kept inequality remarkably low–both below 26.0 in 2011, about equal to where they were in 1999. 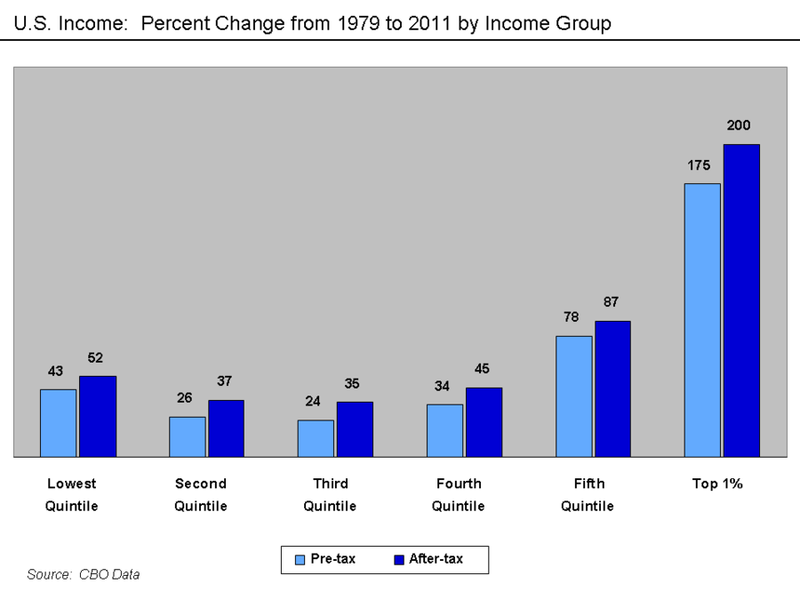 Between 1985 and 2008, income inequality rose in most OECD countries, but not all. It fell or held constant in Turkey, Greece, Hungary, France, and Belgium. 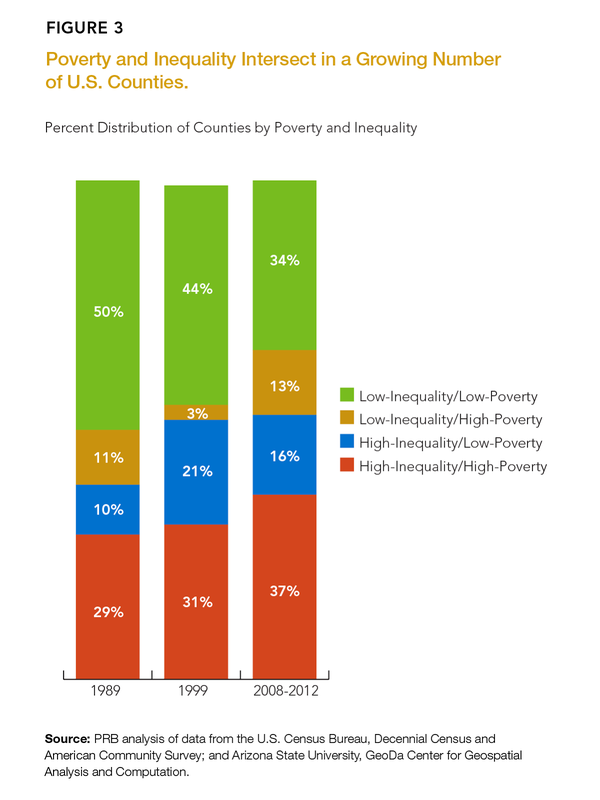 The mentioned constitute a good list of outliers to the trend of increasing inequality. It’s not just one country with unique characteristics that managed it well. It’s not just non-participants in globalization which performed well in inequality. How did they do it? Part of the answer is in how much the government did to reduce market-generated inequality. 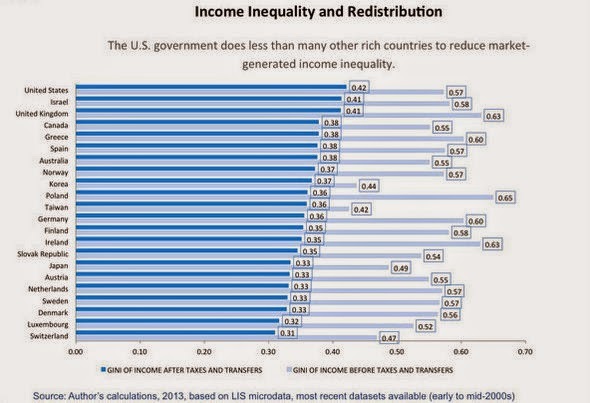 As shown in the chart below, the US diid less than most in the way of redistribution. Yes, we have had Democratic administrations during this time, and they too have paid too much homage to the neoliberal economics, whether by pressure of Republican political force, the pressure of big conservative money, or by simply failing to see how far the pendulum was swinging. Maybe it just wasn’t clear until some of us began to marvel at the atrocious behavior of the GOP during the 6 years of the Obama administration. The point was also made in response to my previous post, that it’s not just the Republicans opposed to expanding immigration–in fact, many of the poor and middle class Americans oppose immigration, because immigrants are taking some of the jobs in the lower income category, driving down wages–restaurant workers as an example. Yes, with apology for the necessity to speak here in broad terms when indeed there are so many variations of philosophy within both parties, I nevertheless think that almost all of the anti-immigration rhetoric preceding the recent election came from the Republican side of the aisle. I believe this is just one of the “tools” conservatives realize they can use to lure Americans to vote their way (along with freedom to own and carry guns, opposition to abortion, continuing tax reductions, etc.). In my view, these points are not the major wins Republican leaders seek (except for the tax reductions). This is a carefully developed marketing program, designed to appeal to the poorer segments of our population. I’m in favor of some form of amnesty for those illegals within our borders who have worked and paid taxes for a period of time. I’m in favor of increased quotas. I believe it’s time for us to recognize in our globalized world that our responsibilities do not stop at our borders. We must start to think as citizens of the world. Unfortunately, it is not possible for any country to just accept all immigrants who want to come. If we could, it would solve a great deal of global inequality, but the disruption to any receiving nation has to be managed. In-migration has to be paced. Along with increased immigration, we need increased equal education for all, to enable us to keep advancing the US economy in service and information sectors. 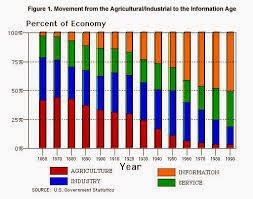 As shown in this chart, we do not need many immigrants to support our agricultural segment. We need them to support the advanced sectors of our economy. We have to recruit well educated immigrants and train and educate others to do that work. Perhaps the most significant of these was the weakening of one particularly key part of bank regulation. Having spent most of my career in banking, I feel qualified to comment on it. My career involved lending of most all types–commercial, real estate, and consumer. I’m not a huge fan of bank regulation, because we have done it so poorly–far more complicated and costly than it needs to be. A great deal of today’s banking regulation is a massive waste of time and money. For example, the increased regulation of mortgage loans under HMDA (the Home Mortgage Disclosure Act) is a huge and expensive burden to regulators, banks, and to borrowers. If you have bought or re-financed a home in recent times, you know. There are dozens of documents to sign. No-one reads them. There are many forms to fill out. Regulators comb through banks files in examinations to see if every rule and document requirement is met. Much of this could be eliminated if we had just a few rules for banks, whose deposits are protected by the FDIC. We could require banks only make home mortgage loans with 20% minimum cash down payment. We could require banks not sell more than 80% of the loan, or that banks retain the first 10% of the risk of all loans that are sold. Just these regulations could replace endless paperwork, save millions if not billions, and strengthen bank regulation. But such rules are not favored by banks and their Republican friends. Big banks would rather suffer the burden of complex detailed regulation in order to still be allowed to make riskier loans and to sell 100% of the loans if they prefer–leaving the risks to the buyers of those loans. 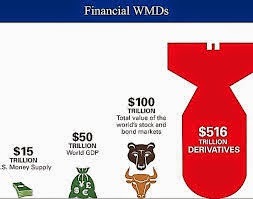 Bundling these loans up and securitizing them into tranches with suggested levels of risk and return (sometimes called “financial weapons of mass destruction–WMD’s”) is what led to the start of the economic depression beginning in 2008. The rights of big banks to trade for their own account in these kinds of instruments was just what Dodd-Frank was created to eliminate. The rider to the omnibus bill, added by Republicans, weakened that protection to American bank investors and taxpayers substantially. These protections are not wasted regulation like those cited above. They are important. Republicans have scuttled them with their amendments to the omnibus bill. In the meantime, it is hard to find a segment of capitalism in which executives are paid more than in the financial sector. Jamie Dimon of Chase was paid $20 million for 2013, notwithstanding trading losses of $6 billion a year earlier and fines for $1 billion in 2013. No matter what one believes to be the cause (s) of our high inequality, Republicans have done virtually nothing to try to restrain it across the last 30 years, unless one gives credit to attempts to strengthen the private sector vs. workers, in order to raise growth–the “trickle down” approach. But as we know from the last 30 years with steadily rising inequality, there hasn’t been any trickle down. We still have 45 million Americans categorized as in poverty in the US and wages of the middle class have hardly moved. Jobs have become insecure. As to the future–can anyone point to current Republican policies, legislation proposed, that is intended to reduce inequality, restore more equal opportunity, other than trying to raise growth by more power and freedom to the private sector? Thank you for reading my posts! : I get so few comments to this blog, and I am most grateful to my friend for stimulating discussion, asking me to clarify, and educating me. I would be most grateful to any of you for doing the same, regardless of whether you agree with me or you do not!